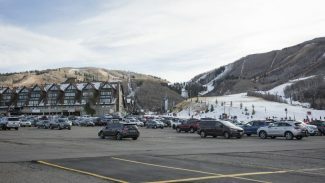 On Sunday, Jan. 3 at 6:18 p.m., a report was filed involving a hit-and-run accident in parking lot on Iron Horse Drive. Public police logs did not provide details. A pair of skis were found at a bus stop outside the Park City Library at 1:08 p.m. The Police Department at 11:43 a.m. received a report that two dogs were chained up outside a house somewhere along Annie Oakley Drive. They were left there overnight without shelter, the police were told. On Saturday, Jan. 2 at 10:05 p.m., the police received a complaint about what appeared to be a broken pipe leaking into a garage on Captain Molly Drive. Skis were reported stolen somewhere along Lowell Avenue at 5:46 p.m.
A bus reportedly hit a parked car somewhere along Park Avenue at 3:25 p.m. Public police logs did not provide details about whether it was a City Hall or transportation company bus. The Police Department at 10:03 a.m. received a complaint that a jacket, gloves, reading glasses and unspecified ornaments were stolen along Main Street. The goods disappeared the night before, the police were told. 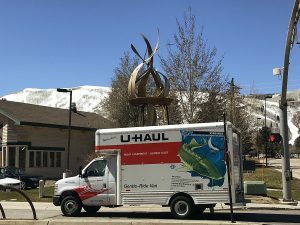 On Friday, Jan. 1 at 11:45 p.m., the police received a complaint that misrouted luggage delivered to Park City might have been taken from a porch. The case was reported on Lowell Avenue. The Police Department classified the case as a suspected theft. The Police Department at 11:08 p.m. received a complaint about a possibly fraudulent rental. The case was logged on Aerie Drive. On Thursday, Dec. 31 at 10:05 p.m., a loud party was reported on Deer Valley Drive. The police classified the case as disturbing the peace. Two taxis backed into each other on Main Street at 1:58 a.m.
On Wednesday, Dec. 30 at 10:27 p.m., fireworks were reported on Sun Ridge Court. A moose was seen in a parking lot along Iron Horse Drive at 7:57 p.m. The animal was moving toward a street, the police were told. A little bit earlier, at 7:19 p.m., a moose was seen in traffic along Park Avenue close to the Park City Golf Course. A Christmas tree was seen in the road on Deer Valley Drive close to the Old Town roundabout at 12:17 p.m. It was removed by the time a police officer arrived. A wallet was left in a lobby on Main Street at 9:34 a.m. It was found, but the police said an unspecified amount of money was missing. The Police Department classified the case as a suspected theft. On Tuesday, Dec. 29 at 10:13 p.m., a vehicle was seen off the road along Royal Street. A woman appeared to be intoxicated at the scene, the police said. The case was classified as suspected drunken driving. At 4:35 p.m., a driver reportedly hit a pedestrian in a parking lot on Snow Creek Drive. The pedestrian was not injured and the vehicle apparently drove away, according to police logs. 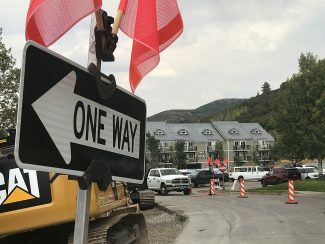 At 2:03 p.m., a construction crew reportedly did not have flaggers working at the scene of a partial road closure at or close to the intersection of Swede Alley and Main Street. On Monday, Dec. 28 at 11:07 p.m., a vehicle was reportedly hit while it was in a parking lot on Park Avenue. The damage occurred within 30 minutes of the report to the police. Tire tracks were left at the scene, the police said. Two men at 10:34 p.m. reportedly banged on car windows and kicked the car as they screamed. The case was logged somewhere along Park Avenue. The men were gone by the time the police arrived. A vehicle break-in was reported at 8:17 p.m. on Deer Valley Drive. The incident occurred within 24 hours of the police report.